I heard about a case of scanning last Summer in my area. It is a scary idea that someone can literally scan your credit card information from you while your card is safely tucked away in your wallet BUT it happens. What is RFID Technology and Why do I Need to be Prepared? These days many credit cards, licenses, ID cards, transit cards and passports come pre-loaded with Radio Frequency Identification (RFID) chips which offer convenient contactless scanning and information sharing - at the cost, however, of security and privacy. 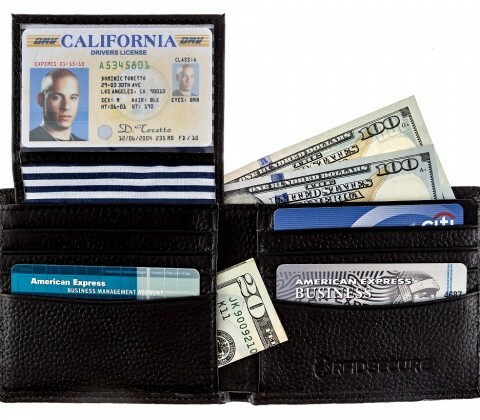 For example using digital readers, readily available online for around $100, hackers and thieves can easily skim the name, account number, and expiration date from an unprotected credit card even while it's still "safely" tucked in your wallet or purse - all the information needed to create a counterfeit card and make unauthorized purchases! Scary but true. 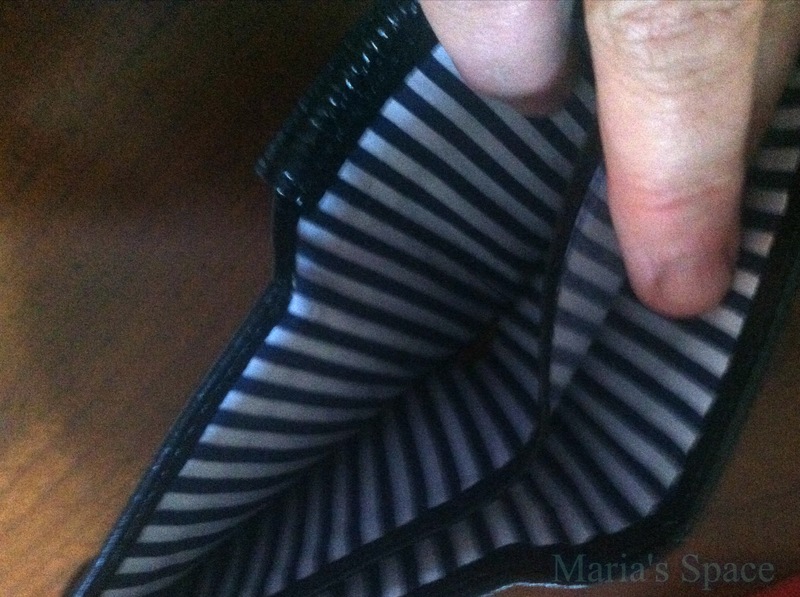 Digital pick pocketing is a scary real thing and can cost you thousands of dollars. 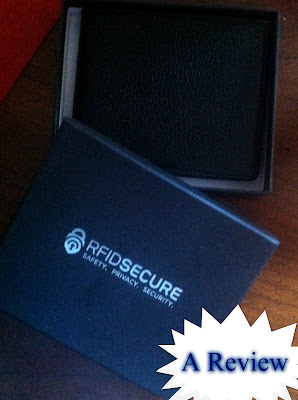 That is why I love this idea of a wallet that is RF safe. 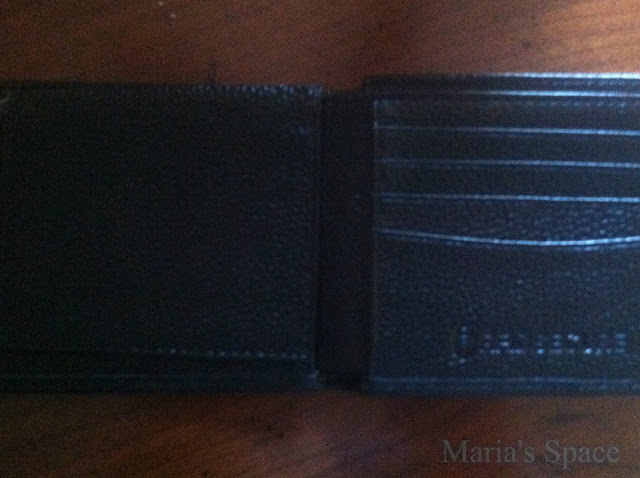 The wallet is a nice looking, black wallet with plenty of slots and storage areas for your credit cards, business cards, license, money and more. BUT is is digital scanning safe. The peace of mind alone is worth the cost but thankfully this wallet is quite affordable. 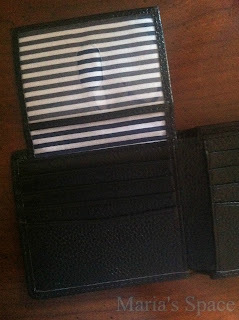 I love the blue and white stripe lining as well. Nice touch! Disclaimer: I received this wallet at a deep discount for my honest opinion. No monetary compensation was offered.